A disconnected comedy, a tribute to Talking Heads, an American classicm, and a farewell tour. It was just eight months ago that we were losing our worries in the warm summer breezes of July, the sun warming our skin as we stood beneath baby blue skies dusted with wisps of white. Despite the sunshine, Managing Editor Ben Speggen was busy watching someone else become lost that July, as Richard Boler's play The Bad Haircut: A Disconnected Comedy debuted at the Renaissance Theater. It turned out that staying inside was a great move, as Ben was blown away by Boler's first play since 1991, writing in an Erie Reader review that the local writer's work was "brilliant, timely, and necessary" and that The Bad Haircut "demands us to think and deserves our attention." Fortunately for Ben and any other Erieite that enjoys all things brilliant, timely, and necessary, last July wasn't the only chance to see The Bad Haircut. Boler's story of a man who feels disconnected from modern life following anunfortunate trimming of his follicles will return this March as it begins a three-weekend run at 7:30 p.m. Friday, March 7 at PACA, giving Erie an opportunity to witness the amusing, thought-provoking original piece in 2014. Whether you're a fan of culture commentary or looking for a good laugh, make sure to get an appointment for Bad Haircut and reconnect with local theater. Given how influential the band Talking Heads was for many current artists (I'm looking at you, St. Vincent), it makes sense that some musicians would try and emulate the sounds of Heads' frontman David Byrne and company. In fact, that love of the beloved new wave band led one group to Start Making Sense. The Bethlehem, Pa.-based act returns to the crooked i to lovingly recreate the tunes of Talking Heads. Now you may ask yourself, "Why should I go there?" This is not your usual tribute band, as former Talking Heads keyboardist Bernie Worrell gave Start Making Sense his stamp of approval, and for good reason, too, as the band's live show is a thrilling recreation of Talking Heads' signature style. If the sound isn't enough for you, lead singer Jon Braun even mirrors David Byrne's famed dance moves and twitches to help give you the full once in a lifetime experience. 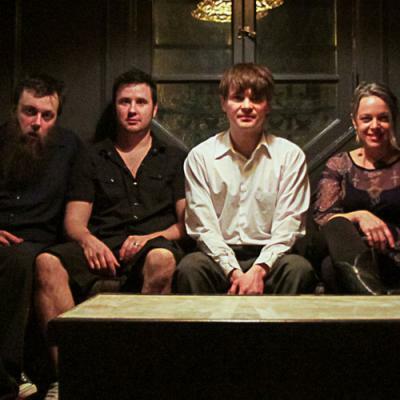 If you're a Talking Heads fan, it makes total sense to check out this excellent tribute act. If you're not, it's time to get a lesson in the ways of Talking Heads and take in one psycho killer of a show. After 50 years and 40 albums together, you could say that the members of the Canadian folk band The Irish Rovers have experience on their side, having shared their traditional tunes with North America both on stage and through TV on their self-titled show in the '70s. However all rovers must stop roving sometime. The Toronto troop officially announced that the band is entering its final phase, as the The Irish Rovers are embarking on their farewell tour. Local fans of The Irish Rovers need not worry, however, as the tour includes a stop at the Mary D'Angelo Performing Arts Center at Mercyhurst University, treating the Erie community to their signature songs one last time. The Irish Rovers gave North America over half a decade of their craft, and now the community has one last chance to celebrate their long, celebrated career, so roll on down for a final night of Roving.